These are centerpiece vases for a funding raising luncheon as they appear after a bisque firing, still in the kiln, then glazed and finished. It's amazing how underglaze colors intensify after they are fired. There is an assortment of sizes that should make an interesting mix. 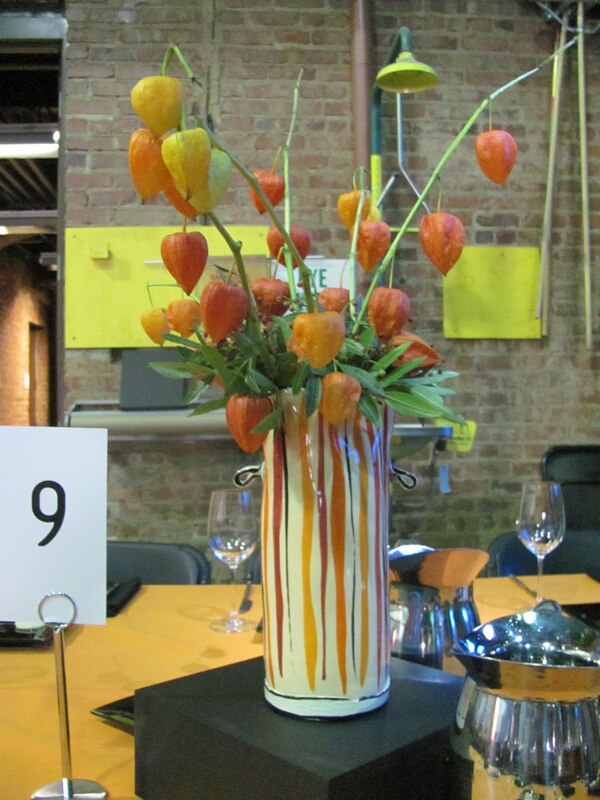 The flowers were all different for each table and really helped make the vase. Happy to say they all held water!! I found that the scallop tops hold the flower stems really well and its been fun trying my own arrangements at home. Orange is my new favorite color!